Explicit Othersode #25: What's a cat? / Captain Marvel! Hey! 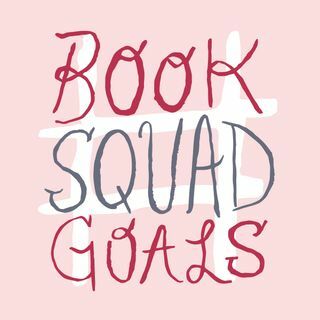 We’re #BookSquadGoals, a bi-weekly podcast about—you guessed it—books, plus all the garbage pop culture we consume when we’re not reading (that’s what our “othersodes” are for!). We’re easy to find—you can get the podcast on any of your preferred podcast aggregators, and we’d love it if you subscribed on Apple Podcasts so you’ll get ... See More our newest episodes in your feed right away. While you’re here, check out the #BookSquadBlog, where we have weekly posts about books, pop culture, and probably our pets. We love our pets. Thanks for checking us out and being part of our squad!